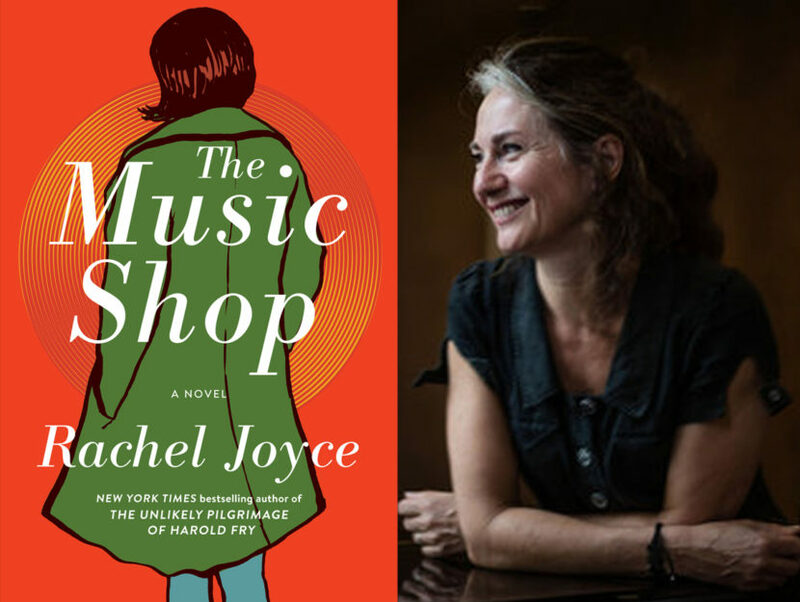 The author of The Unlikely Pilgrimage of Harold Fry and The Music Shop discusses the value of "tiny characters" and the quiet beauty of vinyl. It’s 1988. On a dead-end street in a rundown suburb, a music shop stands small and brightly lit, jam-packed with records of every kind. Like a beacon, the shop attracts the lonely, sleepless, and adrift, and the owner, Frank, has a way of connecting his customers with just the piece of music they need. Then, one day, into his shop comes a beautiful young woman, Ilse Brauchmann, who asks Frank to teach her about music. Terrified of real closeness, Frank feels compelled to run, yet he’s drawn to this strangely still, mysterious woman with eyes as black as vinyl. But Ilse is not what she seems, and Frank has old wounds that threaten to reopen, as well as a past it seems he’ll never leave behind. Can a man who’s so in tune with others’ needs be so incapable of connecting with the one person who might save him? The journey these two quirky, wonderful characters make to overcome their emotional baggage speaks to the healing power of music—and love—in this poignant, ultimately joyful novel. 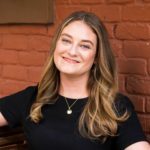 Recently, Rachel Joyce spoke with Read It Forward editor Abbe Wright about her father’s inspiring tabletop jazz drumming, the risk of losing yourself in too much research, and how we help ourselves by pushing to the very edge of danger. Read It Forward: Congratulations on The Music Shop, your fourth novel! In the book, the main character, Frank, gives his customers, not the music they think they want, but what he believes they need to hear. What is it about music that can cure what’s ailing us? Rachel Joyce: It’s very personal, but for me, it’s to do with the fact that music can work in an immediate way that’s beyond words. It’s a bit like blood or veins; it works in a visceral way. It can take you and time-jump you, place-jump you, and people-jump you. I find all of that very interesting, especially when the medium is words. You’re creating attention for yourself before you’ve even started, which I think is always quite an interesting problem to give yourself. RIF: Why did you pick music as your motif for this novel? Is it something you’ve always loved? RJ: I’ve always loved music. When I was little, my dad was a jazz drummer, so there was a lot of music around us. He was forever tapping on the kitchen table, wherever. I think we always desperately wanted to please him, as well, with our choice of music. But having said that, I never learned to play an instrument, at least not in a way that you’d show anyone. I can’t read music, but I really know when it gets to me. So, I wanted to set myself a challenge to explore music. I think if you’re going to write a book, it’s got to be somewhere you want to go for a long time, and I knew I really love listening. My husband is very into music, in a much more knowledgeable, kind of punky, male way. I wanted to bring my sensibilities to that world, which can be a bit male, I think. It felt right to go in there and have a good old sniff around. RIF: What was your research like? As I read, I really learned things about Vivaldi and other musicians. It’s a ridiculous task to set for yourself, but I did try. At one point, I had stacks of research and a minuscule amount of novel, and I was getting really bogged down. The more I read, the more academic it began to feel, and the more alien. It got to the point where I thought, I’ve got to push all my research away now, and I’ve got to do the thing that Frank is always telling his customers to do. Lie on the floor, put your headphones on, and listen. Just treat yourself to really listening, and see what happens. So that’s what I did. RIF: What I loved about The Unlikely Pilgrimage of Harold Fry, and in The Music Shop, is a chance encounter with someone that can lead to a lost love, which then acts as the driving force throughout the novel. Why are you drawn to these stories of unrequited love? They’re so delicious, as a reader, to consume. RJ: I’m glad you feel they’re delicious! I think just as a storyteller, of course, there’s a long way to go if they don’t hit it off the first moment. If they did get married in chapter one, it would be the, “Oh, dear, that’s a very short story. What’s the next thing?” But I’m interested in the way that, with the best will in the world, we keep making mistakes. Or that we can desperately want something, and yet we arrive late; we say the wrong thing. It’s so easy looking back to know what should have been said in the moment when things are happening. It’s very difficult, especially in moments when you’re out of your depth—and I like to put my characters in places where they’re out of their depth. Mainly, I feel out of my depth a lot of the time, so it feels a very natural place to put people. RIF: Like with Frank acting out of fear, saying he would just prefer to be alone, thank you very much. RJ: He would prefer to be alone, and he has a very good reason for it. Part of the book is unraveling why he is the man he is. He’s a man who has become very comfortable, as we can, dealing with life in a certain way. But that way he’s developed is not necessarily the best way for him. It’s just what he’s comfortable with. RJ: I think a lot of us do that. We have little patterns of behavior we don’t want to address because to address them is going to be very painful. But Frank, being the hero of this novel, eventually gets to a place where he feels he has no choice but to try and adapt and grow. Of course, growing’s hard. RIF: It is. That’s the most familiar aspect; we can all see ourselves in Frank. RIF: Speaking of adaptation and change, the characters of Unity Road seem averse to change. Frank discourages them moving from vinyl to CDs, and the tribe of Unity Road is really averse to having a developer come in and change the entire street. Why do you think this change feels like it’s threatening their way of life? Is their attitude good, in a way? RJ: Well, they’re resisting a big developer who wants to, for all intents and purposes, demolish the street and build yet another great big shopping mall. And they’re a very small community. They’re a very mixed, disparate community. A lot of them have known, in previous parts of their lives, what it feels like to feel alone. In this little street, they’ve found a way of getting along together. So for me, they’re holding on to something that’s very precious. It’s just that it doesn’t make money. And that’s the big debate, really: will the money-makers win over the people who want to hang on to a way of life that’s idiosyncratic? It probably wouldn’t make sense to a financial department, but it’s about compassion and understanding. They’re holding on for that. And I feel good for them, really. It’s just that, inevitably, to hold on to that, they’re going to come across some big obstacles. I wanted this to be about a man who’s passionate about vinyl and resisting the CD, so I’ve got to set it in the year in which CD sales overtake vinyl—the year that’s going to be most difficult for him to hold on to those records. Part of his reason for doing it has enormous integrity. It’s about the journey you make with a record. It’s the fact that you can’t just have it now, at the flick of a switch. You have to, as he says, get up and turn the record over. You have to invest in the journey a vinyl record was supposed to make. Then you’ve got the brilliant album covers: things you could touch and hold. Frank, at one point, says human beings respond to beauty. The idea that you can just have everything now, and then throw it away the moment you’ve had enough, is completely against what Frank’s trying to encourage people to do. RIF: I saw the recurring themes of resisting the move to CDs as recognition that humans don’t live in a vacuum. We love the crackle in the silence before the song. That, to Frank, is part of music. And the same with the crumbling beauty of Unity Street: we don’t want to live in a crisp, glass structure with beautiful people drinking coffee on the signs. RJ: I mean, we might, but I’m not going to write about those people. I feel they probably get quite enough attention without me giving it, as well. RIF: They do. Did you intend to say something about both gentrification and the pace of technology? RJ: In my way, yes. For me, stories are always a way of exploring bigger themes within, on the coat hanger of a story. Thinking about what you choose to lose is something I think a lot about, as is compassion and trying to understand what you don’t know. Those things all seem very important to me. Change is necessary, and change can be violent, but I think you just have to keep looking at what it is you’re getting rid of. RIF: Yes. Were you surprised with the wild success of The Unlikely Pilgrimage of Harold Fry? Did that come out of nowhere? I felt like the book was everywhere. RJ: I think it was everywhere. I didn’t expect it at all. I mean, for me, getting to the end of the novel was my aim. And then to get a publishing deal in the UK was amazing because I love books. I’ve always loved books. Since I was a child, that’s how I comfort myself. It’s how I discover things, and it’s how I express myself. So to find that my book was in a bookshop, I thought, that’s the end of it. That’s brilliant. The things that came after that, the worldwide success of Harold, was a bit bewildering, really. But I sort of choose not to think about it too much, just to get on with the next piece of work. That seems to be a better place to put my energy because otherwise, I think you could become just utterly neurotic. RIF It’s like Harold: one step in front of the other. RJ: With writing, for me anyway, there are so many holes you fall down in order to get up out of them. I spend an inordinate amount of time falling down writing holes. There isn’t much time to think about anything else. RIF: You were an actor for many years, and performed for the Royal Shakespeare Company. Is there anything you took away from your time on stage, or even Shakespeare’s work, that you try to incorporate into your writing? RJ: I was really lucky to have that. Even though I loved literature, I didn’t feel ready. I did write in my twenties, but I never showed anyone; I just didn’t have the confidence. Whereas acting feels to me like a very similar muscle to writing. You’re exercising it in a slightly different way, but getting inside what you don’t know, imagining what it would be like, with what you have, to be something else. That seems to be related to writing. And if you’re lucky enough to perform Shakespeare for years and years, that sense of structure, those storylines, are brilliant. You have them in your bones. And then all of the conflict—Shakespeare is constantly about conflict. RIF: Do you have a favorite character in The Music Shop that you loved writing? To me, they were all so dynamic, from Peg, the mother, and the shop assistant, Kit, to Ilse. I fell in love with all of them. RJ: I did too, because I think, as a writer, you have to. But you love them in the sense that you know their weaknesses. You don’t love them in a blind way. RIF: Yes. I mean, Kit is a walking disaster! RJ: Kit is one of those young men who just walks into a room and breaks something, you know? RIF: Yes. Bless his heart. RJ: Frank’s weakness is that sometimes he takes these people on, and they’re going to be his undoing because they’re not right for the job. But that’s what so generous about him. In terms of a favorite, I didn’t have one. I wrote masses of Peg, Frank’s very flawed mother, because I was so enjoying her, and I just had to keep cutting, cutting, cutting. For the sake of the structure of the novel, you can’t just sit around chatting. RIF: Right. But that scene where she puts up the floral wallpaper, and then another husband paints over it brown, but on a sunny day, you still see it poke through. It just spoke so strongly to Peg. I loved it. RJ: And there were other characters that came into the shop. Just very briefly, there’s one paragraph about a little boy who’s a customer who comes in for a while, and Frank tries to help him, and then, in the end, this boy disappears. But those little tiny, tiny characters—you invest a lot in them. He may only be in the book for a paragraph, but a character like that, I felt a great fondness for. RIF: Do you have a favorite scene? RJ: Oh, that’s so difficult to answer. There was one little scene where Ilse and Frank are in a cafe, and he’s telling her about Chopin’s “Raindrop,” and it’s got no dialogue. I quite like it when you give yourself that challenge of not really putting dialogue in. RIF: Oh, and the waitress, how she grows. I loved her. RJ: I really loved writing the ending. RIF: You had me crying on the subway. RJ: Oh, well, I’m glad I had you crying. I never know whether it’s over the top. But, you know, you’ve just got to kind of push it—push everything to slightly dangerous limitations. 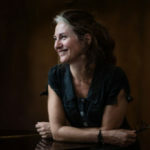 RACHEL JOYCE is the author of the Sunday Times and international bestsellers The Unlikely Pilgrimage of Harold Fry, The Love Song of Miss Queenie Hennessy, and Perfect. The Unlikely Pilgrimage of Harold Fry was short-listed for the Commonwealth Book Prize and long-listed for the Man Booker Prize and has been translated into thirty-six languages. She lives with her family in Gloucestershire.